Without an integrated marketing strategy, your investment is like cold coffee. It’s activity without providing you with the return you aimed at. Why most marketing strategies fail – here is the answer. Imagine a first time coffee drinker (who we will call Jim). Jim has heard about the fantastic effects of coffee early in the morning. He has seen pictures of coffee, smelled coffee – he knows what coffee is. Jim finally determines that he should start drinking coffee to jump-start his day. Jim goes to a well-known local shop that his friends recommended to him. He is overwhelmed by the choices on the board. Isn’t coffee just coffee? He scans all options and decides to go with the smallest and cheapest option. He walks up to the counter and orders a small decaf coffee. The barista smiles, pours him a cup, hands it to him and wishes him a good day. Jim, now with coffee in hand, walks right past the extras (sugar, cream, stirrers, etc) and takes a seat outside. He slowly sips his way through the entire cup even though the taste isn’t too appealing. What does this have to do with why most marketing strategies fail? Well, actually marketing just failed. Thirty minutes go by and Jim begins to realize something – nothing is happening. Where is the energy rush? Where is that ‘take on the day’ feeling? What a waste of time and money! In that moment, Jim swears off coffee and vows to never be tricked like this again. He can’t understand why his friends like it, and more importantly, how coffee shops feel good about charging for this junk. The situation above is not unique. It happens every day in our world. We hear business owners complain about their lack of success with social media, their website and marketing in general. Just as “Jim” didn’t get satisfaction from his cup of coffee, many business owners feel the same disgust with digital marketing. Why? Let’s examine the cast of characters from the story about Jim, to find out why most marketing strategies fail. Jim is typical of executives you meet on a regular basis. They can’t ignore digital marketing and social media. They are inundated with news, messages, and peer interactions touting the importance of a good digital marketing strategy. Jim knows that he could always improve and somewhat believes that a digital presence could help inject some life into his business, but he is still sceptical. The concept seems solid, but he doesn’t even know where to begin. As Jim walked into the coffee shop, he was immediately overwhelmed. This happens with executives as well. There are thousands of social media sites, apps, software, consultants, and other platforms that they could use. This happens far too often. Instead of fully committing to the decision to ‘do inbound’ or ‘do social media,’ executives tend to dip their toe in the water and start small. Their buying decision is typically based solely on price, and they want as little investment (time, energy, dollars, and emotion) as possible. A good consultant would understand Jim’s needs first. In our story, the barista could have noticed Jim’s reservation to order and could have asked a few questions to ensure that he got the result he was looking for. A lot of times, we see organizations that have the foundation in place. They already have a Facebook page, LinkedIn presence, and a decent website. What they are overlooking are the enhancements that would make this all work for them. Things like an outsourced marketing company, or fancy WordPress plugins that would make their results come faster and bigger! Like Jim, it would make the taste that much more appealing. There are so many organizations that have tried a few things (like social media), gotten nowhere, and decided to never go down that path again. This is truly unfortunate. So many stats prove that these digital strategies work. Organizations that have tried the decaf version of marketing, gotten little to no results and have eventually given up, sell themselves short. 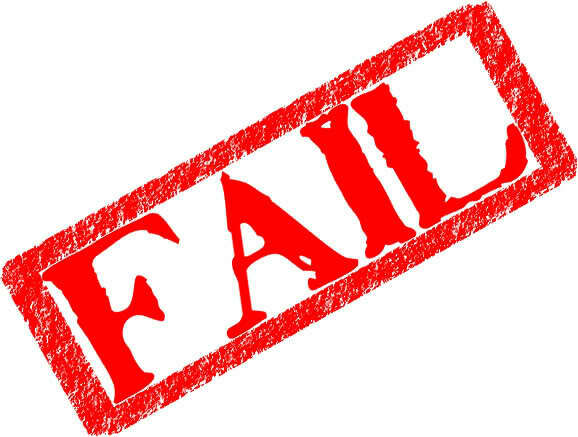 So…Why most marketing strategies fail? The underlying issue in all of this is focus. Is your organization looking to marketing to support sales and growth? If so, then your inbound marketing and digital strategy need to focus on results. A lot of organizations (and even consultants and marketing firms) focus on activities. By focusing on ‘getting more Facebook likes’ or ‘increasing your twitter followers’ you won’t get much ROI from a sales perspective. If you want your marketing to infuse life into your organization like a bold cup of coffee, then go all in and focus your plan on generating results.